Our events are located in amazingly beautiful parks and recreation areas in California. We are known for our well-marked courses, accurately measured distances, immediate race results, quality shirt designs, and low-key, friendly atmosphere. For courses that are designed to be easier, flatter, and faster, check out one of our Zoom or ZombieRunner events. We have organized over 400 events during the past 16 years. 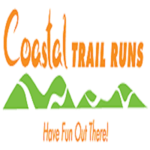 We love trail running and we promise you a rewarding experience.